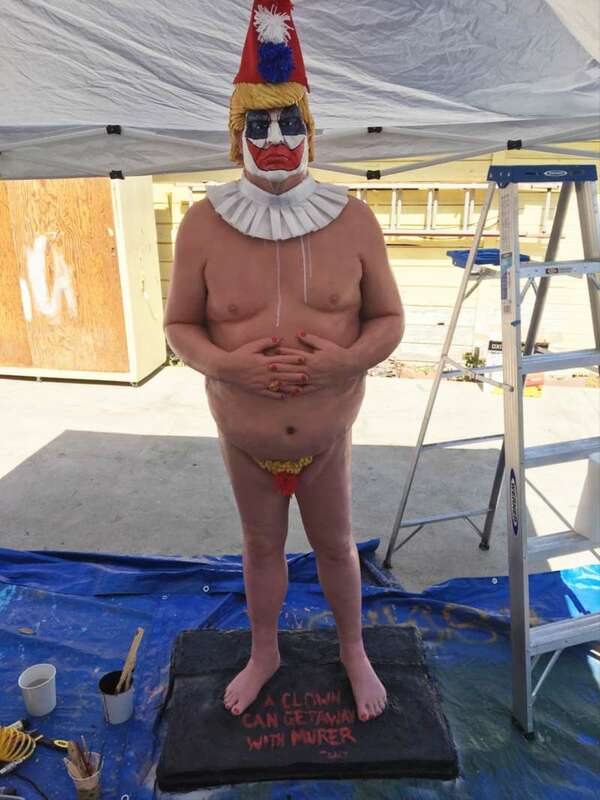 This Statue of Trump as a Naked Serial Killer Clown Is Looming Over L.A.
On Friday, at approximately 2 a.m., five INDECLINE artists painted over a Blue Moon beer billboard at the corner of Melrose and North Martel in Los Angeles. Armed with rollers, they covered the billboard in blue paint and painted the quote in large pink letters. 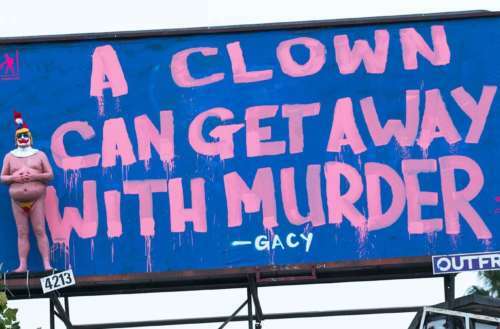 The Trump clown statue, which also had the quote on its base, was placed on the left side, painted as Gacy’s clown character Pogo the Clown. 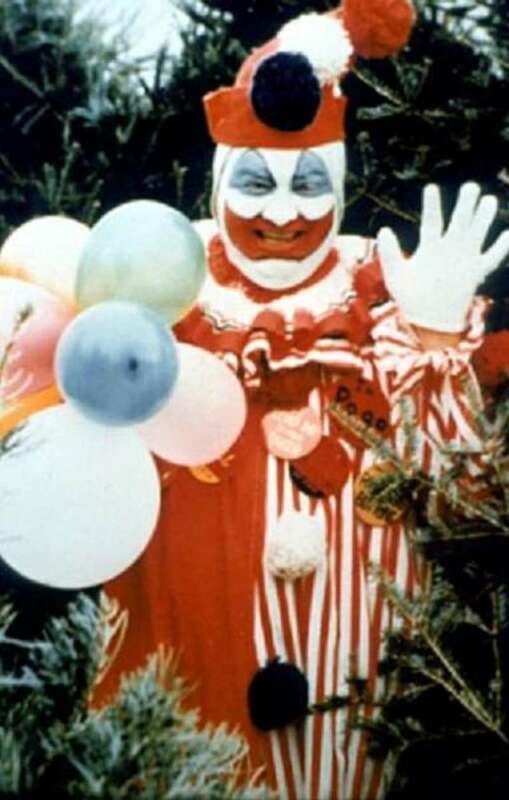 Before news of his crimes broke, John Wayne Gacy was seen as a pillar of his community, involved in local politics and running a successful landscaping service. He also was a clown, performing as two different characters, Pogo the Clown and Patches the Clown, though Pogo is the more (in)famous one. 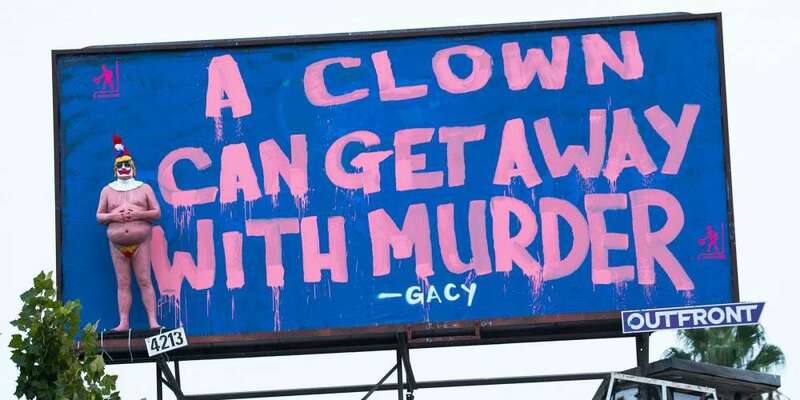 During INDECLINE’s research for a follow up project to the naked Trump statues, the group discovered the Gacy quote, and had the idea to mash the two up. There are a couple differences between the earlier art project and this one. This is the only billboard that has been altered, whereas the naked Trump statues were placed in five cities across America. And this time, Trump’s not naked. In addition to the pom pom clown hat, he’s also wearing a tiny g-string with a clown-nose on it. How long do you think the naked Trump clown statue will stay up?